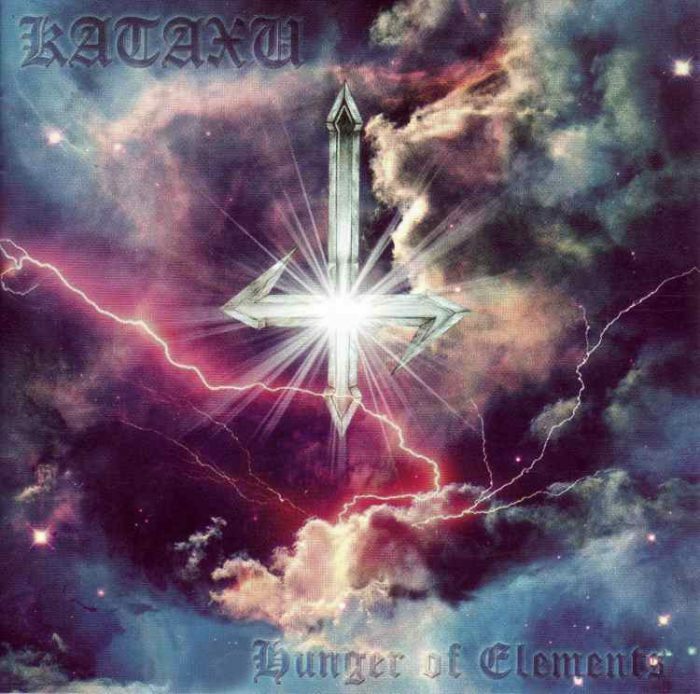 Kataxu play a style of black metal in which the keyboards appear to lead, while the guitars follow a complementary role that enhances and sustains. 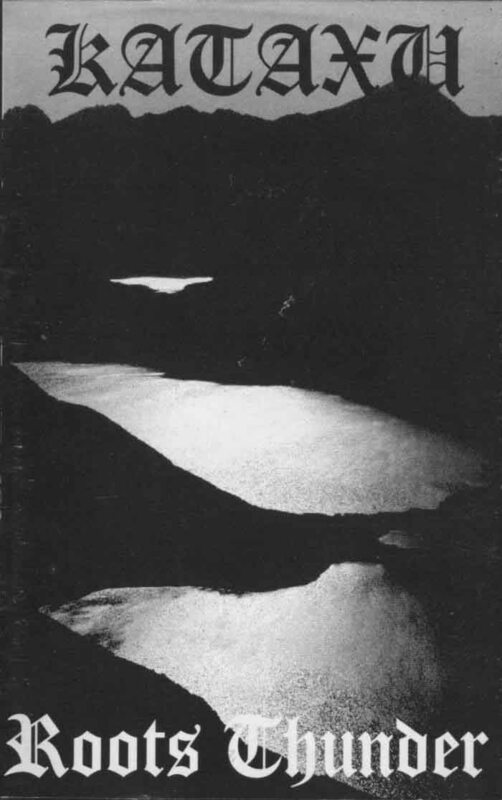 In maintaining activity in the melodic movement of the phrases, and a distinct harmonic progression between sections, Kataxu avoids relaxing on the guitar riffs avoiding a meandering feeling that is common to bands utilizing this type of approach. Guitars in distorted power chords are always behind the keyboards in the mix, but are given prominence in between sections or in certain passages in ways that enrich textural variety accross the pieces. Percussion is ever present, but one can rather sense their bulk in the spectrume, rather than actually hear drum patterns. 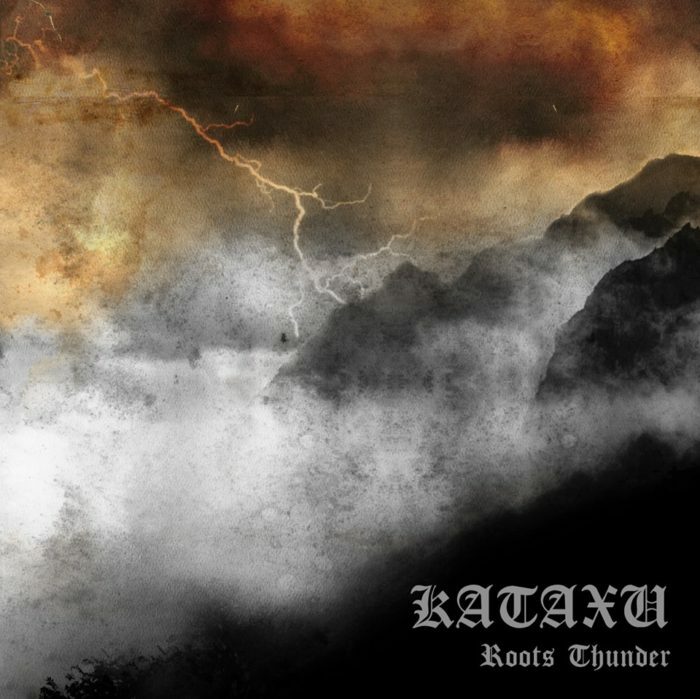 Wolfspell Records is reissuing Kataxu’s Roots Thunder debut album on CD and vinyl LP for the first time by itself on higher fidelity formats than compact cassette.